A unit of media data that has a presentation timestamp and decode timestamp. The presentation timestamp indicates when the frame must be rendered. The decode timestamp indicates when the frame needs to be decoded. 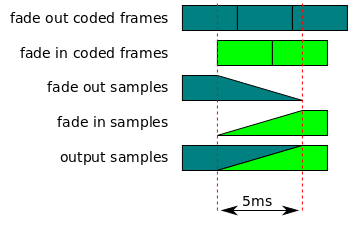 If frames can be decoded out of order, then the decode timestamp must be present in the bytestream. If frames cannot be decoded out of order and a decode timestamp is not present in the bytestream, then the decode timestamp is equal to the presentation timestamp. Let Ai equal the actual duration frame i spent on the screen (if the frame is never displayed to the user (i.e. dropped) , then let Ai equal 0). Let display duration error equal the absolute value of (Ei - Ai). Implementations must support at least 1 MediaSource object with the following SourceBuffer configurations. Anything beyond this is a quality of implementation issue. When the media element needs more data, it must transition from HAVE_ENOUGH_DATA to HAVE_FUTURE_DATA early enough for a web application to be able to respond without causing an interruption in playback. 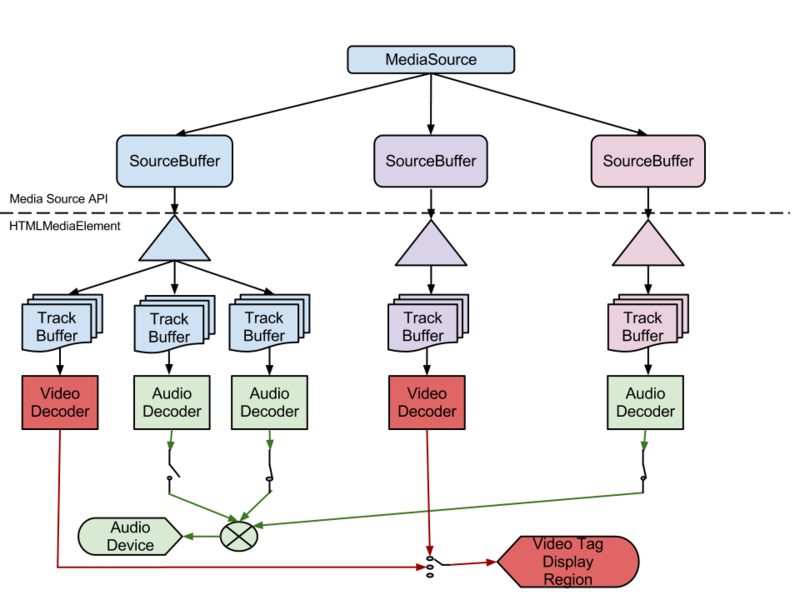 For example, transitioning when the current playback position is 500ms before the end of the buffered data gives the application roughly 500ms to append more data before playback stalls. The sequence start timestamp variable keeps track of the starting timestamp for a new coded frame sequence in the "sequence" mode. It is unset when the SourceBuffer object is created and gets updated when the mode attribute equals "sequence" and the timestampOffset attribute is set, or the coded frame processing algorithm runs. If the input buffer starts with bytes that violate the byte stream format specifications, then run the end of stream algorithm with the error parameter set to "decode" and abort this algorithm. The sum of all display duration errors for all frames included in the totalVideoFrames count. Each HTMLVideoElement will maintain a display duration error sum variable that keeps track of the sum of all display duration errors. This variable is initialized to 0 when the element is created and whenever the media element load algorithm is invoked. When a frame causes the total video frame count to increment, the display duration error for that frame is computed and added to this variable. Set playbackQuality.playbackJitter to the current value of the display duration error sum.